Full-time employment, working abroad, freelance projects - no matter where you're employed, you can receive a salary on WestStein online current account easily. 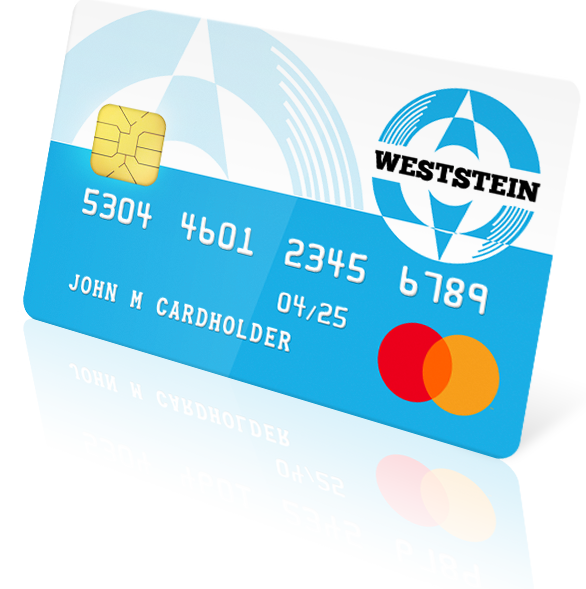 Once you have received money on your WestStein IBAN, you can pay bills, shop online, transfer funds to your family, pay at POS terminals and withdraw cash from all ATM's worldwide with WestStein prepaid Mastercard. It's a safe way to receive a salary because WestStein online current account is issued in the United Kingdom and has the same security measures as an international bank account. Please note that to receive more than 150 Euros, you will need to verify your identity and residence address. Learn more about limits in WestStein pricing page.